I was wondering if anyone has received the same no care attitude from Breville as I have? Basically I purchased a coffee machine for my parent's a few years back for their wedding anniversary and over the history of it it has had multiple failures ranging from a faulty motherboard to damaged pump. Recently it has just come out of warranty and has yet again failed, this time we think it’s the valves for the pump as it doesn’t extract at all. I called Breville hoping they might be able to help us given the history of the machine etc but they washed their hands of it and said it’s not their problem and to take it to consumer affairs if we wish. Very disappointing from a large company such as Breville, given that I also own a BES840 and I have always been an advocate for their products and would always purchase them before that of their competitors. Going forward I don’t think I would due to their poor and seemingly careless customer service. Has anyone else had such a bad experience? I'm also having problems with Breville re sale of cleaning tablets and filters. I ordered them and paid for them 1 month ago (by phone) and still haven't received them. Multiple phone calls and the tell me they have problems with their new warehouse system BUT the last two times they have said they are in despatch and will arrive in the next 5 days?? I'Ve done some research and have the name and phone number for their new CEO who was appointed 2 weeks ago. He'll be getting a phone call tomorrow if I get the same "it's in despatch and you'll have in in 5 days" answer tomorrow. I'll post how I go tomorrow. If I have any success it may be worth you giving him a ring re your dilemma. Last edited by Andy; 25th May 2015 at 09:22 AM. Reason: bad form posting the number in public so I've edited it out. These machines have a 2 year repair warranty. If your machine is just over 3 years old, how does that make it just over 6 months out of warranty? To be 6 months out of warranty, wouldn't it be 2.5 years old? After 2 years, legally, Breville doesn't have to worry about it. Unless the part that has failed this time is the same as what failed last time and is under 12 months old, that will need to be covered by them, provided the parts were fitted by a Breville authorised service centre. In this case, they need to honour parts warranty but not necessarily labour costs for the repair. From your fault description and being that solenoid pumps don't have "valves" as such, the group solenoid could be faulty. Depending on the serial number of the machine, it could have been one with the faulty solenoid o-rings which can cause problems like yours. If this is the case and being that it was a compulsory repair that needed to be done to these machines, Breville should cover it under warranty. This will require an inspection by a Breville authorised service centre to determine if this is indeed the problem. If it is, you shouldn't have to pay. If it turns out to be something else at fault, you will most likely have to pay. Life expectancy of one of these is probably 5-6 years (depending on usage) before needing work that you could call a significant expense. The first generation 900 is getting near that now. If all else fails, you can go to consumer affairs if you want, probably more trouble than just paying for the repairs on your $1500 high end appliance. The great (or not so great, depending who you are) thing about the consumer laws these days is that the stated 2 year warranty doesn't mean a lot. The ACCC is your friend. Also, I think it's a bit much to be putting the phone number of the CEO on here. chokkidog, TC and Lukemc like this. Of course, the ACCC can cause Breville to take action but without their intervention, Breville don't have to do a thing if they don't want to (outside of what I mentioned before). People have unrealistic expectations of these machines. Let us have a reality check. Breville make appliances, and that is what you are buying. If you think it is on par with a European made machine, then you are mistaken. Do not expect appliances to last more than 5 yrs. They are built to be regularly replaced as that is what the consumer demands. If you want a machine that will last, then you either have to pay the big bucks and buy a new European product, or hunt around and look for a well maintained 2nd hand machine. Breville produce a high quality appliance which needs to be realized as such. If you have issues with your product then have a good read of our consumer law. Available from Consumer Affairs. If you believe your product is not fit for purpose, then follow the recommended channels. Posting the name of the CEO achieves nothing. The phone number is not his direct line, and ALL CEO's employ a gatekeeper to ensure their time is not wasted with such frivolities. They hire people to deal with consumer complaints. CEO's are paid the big bucks to make the company profitable, not deal with minor issues. Understand how a company works and target the correct people to achieve your desired outcome. 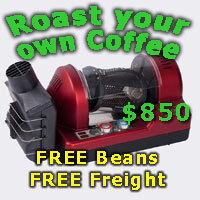 I believe a very capable and understanding employee of Breville contributes to some of the threads on this site. Contact them and see if they can resolve your issues. Just remember that being polite can be very effective. pyrmontboy200, TC and dan110024 like this.